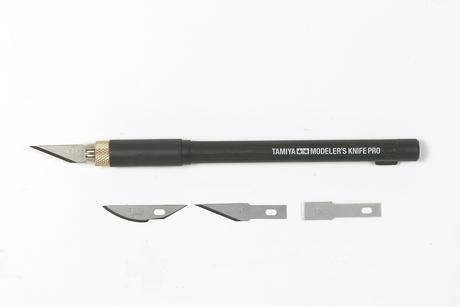 This professional knife is ideal for precision tasks. Set includes Straight blade (3pcs. ), Curved blade (2pcs. 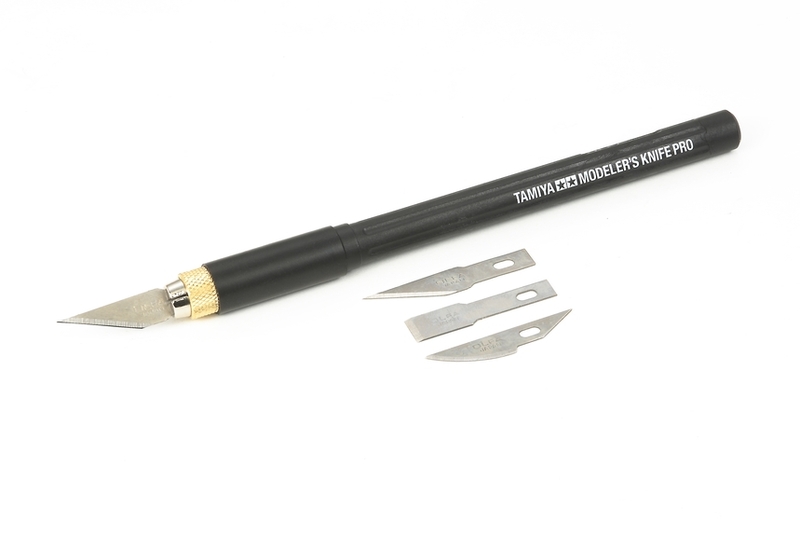 ), and Chisel blade (2pcs.). 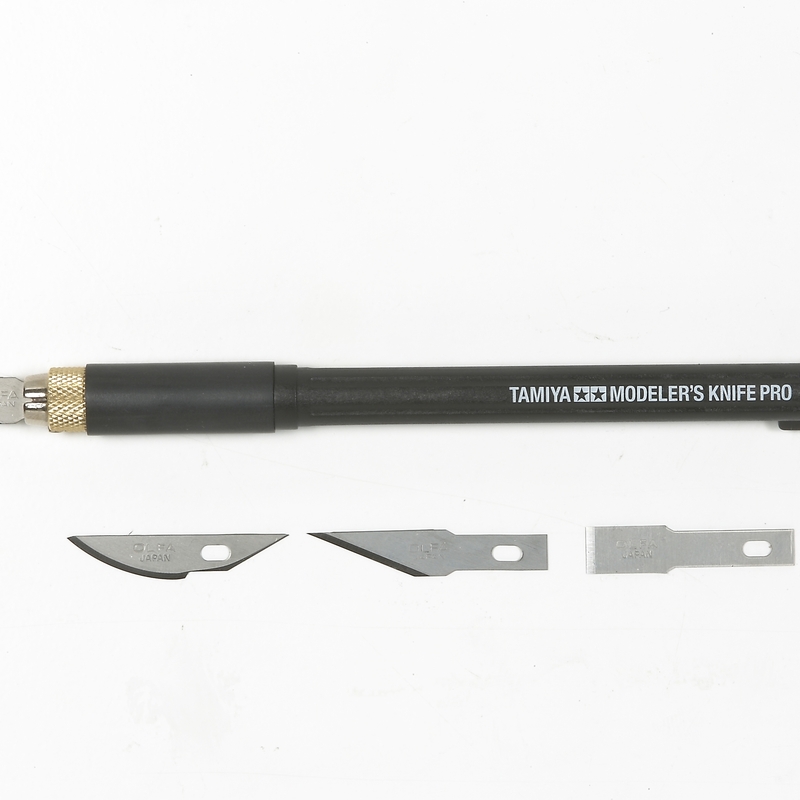 The body features an elastomer grip and a metal chuck to secure the blade. 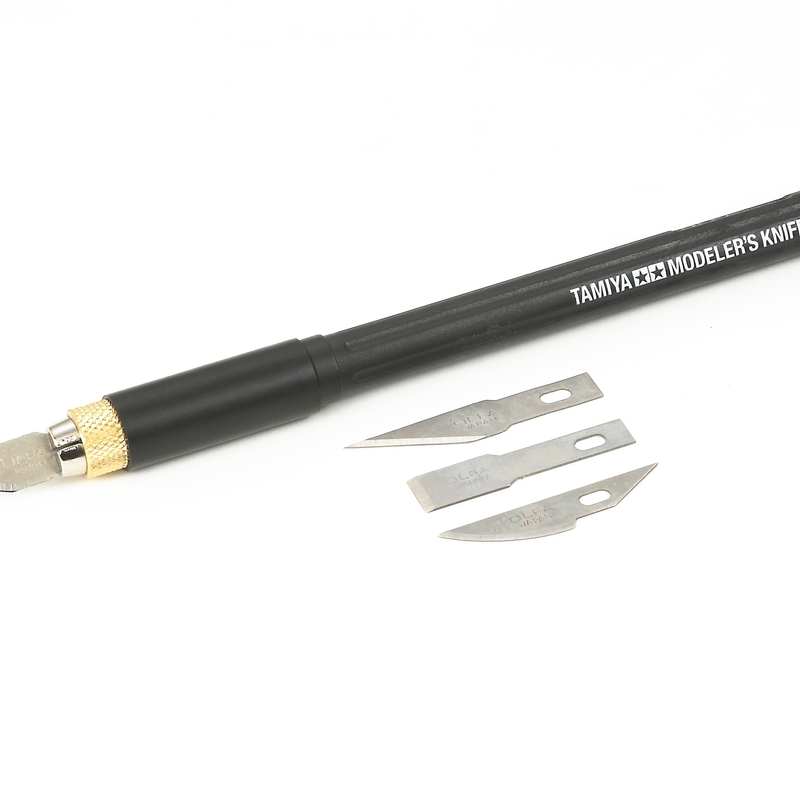 Protective cap for the knife and a plastic spare blade case are also included.